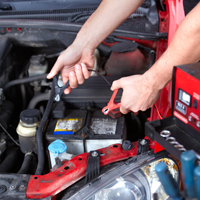 Your Spokane auto repair is a modern and complete repair facility. We use the latest computer hardware and software to diagnose your vehicle. We work on all makes and models and can handle all of your car care needs. Our talented team of highly trained, ASE certified and professional technicians works hard to get you back on the road as soon as possible. We are and look forward to helping you with your auto services. Schedule an appointment on our Appointments Page so we can have provide your vehicle with quality auto services right away!